Offitek was founded with one goal: to redefine work experience through a systematic approach to the design of the workspace. Offitek was established at a time when most offices were fitted with archaic furniture, providing limited, if any, space optimization or aesthetic quality, resulting in an uninspiring work environment. Finding most work places wanting in design and space efficiency, Offitek stood in the gap to offer office system furniture to create smart, productive and attractive workspaces. 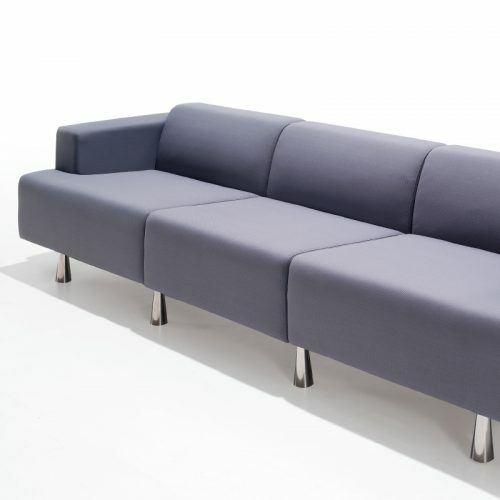 Offitek can transform your workplace with our deluxe collection of office furniture and furnishings. As leading manufacturers and suppliers of innovative systems since 2003, Offitek is well placed to be your partner in creating a work space that is suited your taste and functions. Since achieving our ISO 9001:2008 in 2010, we have been delivering excellent and innovative solutions to our clients in office space planning and furnishings. With a strong client base in Singapore and across South East Asia, Offitek strives to extend our quality services and products to valued customers world-wide. Product quality ranks high on our list of priorities. At OFFITEK, we ensure that all items are produced with only the top-grade materials and high-level craftsmanship. Ergonomic and space-efficient designs are must-haves for any offices looking to make the most out of limited space but at the same time, keeping it healthy. At OFFITEK, you will be spoilt for choices. Offitek strives to provide excellent support from first point of contact to final installation. Helpful consultants are at hand to answer any queries and provide aftercare; professional designers are ready to help you envision your perfect work space with functional layouts, CAD and 3D visuals; and experienced operation personnel will ensure a timely and smooth installation. To give your office a makeover, call us at (65) 6282 1655 or email sales@offitek.com.sg to book an appointment with our consultants.